Statement on 9/11: “I completed awakening to 9/11 truth by November of 2001 and started presenting PowerPoint and video productions on 9/11 truth in 2002. I have since spoken at six international 9/11 conferences and numerous other 9/11 events and radio programs. My first video release, Perspective on 9/11 was originally made for the early live presentations. I have since produced dozens of 9/11 DVDs – nine with leading 9/11 Truth author David Ray Griffin, including 9/11 – The Myth and the Reality. More recently I produced, directed and edited architect Richard Gage’s 9/11 – Blueprint for Truth for AE911Truth. 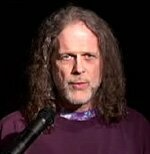 Additional Information: “I am one of the original signatories to the AE911Truth.org petition and also the video producer of their DVDs 9/11: Blueprint for Truth and the more recent SF Press Conference DVD. I have worked as a video professional for over 35 years, including 7 years at Hewlett-Packard in their state-of-the-art broadcast video facility HPTV. The 85 Pentagon Area Surveillance Cameras.